That New Look blouse is great - particularly like the black but it's sold out :( I'm after some slim leg but not skinnies and a bit slimmer than straight legs! 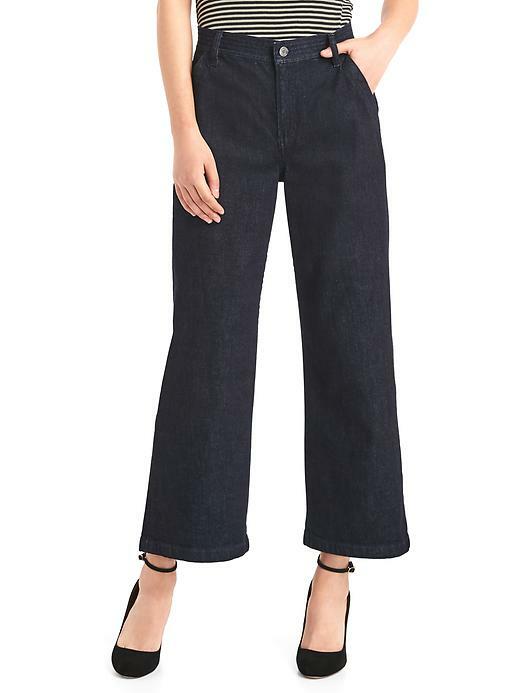 I like wide legged cropped trousers but probably prefer a trouser to denim in that shape, Next have some nice ones and I like the GAP cropped Wide leg chino. 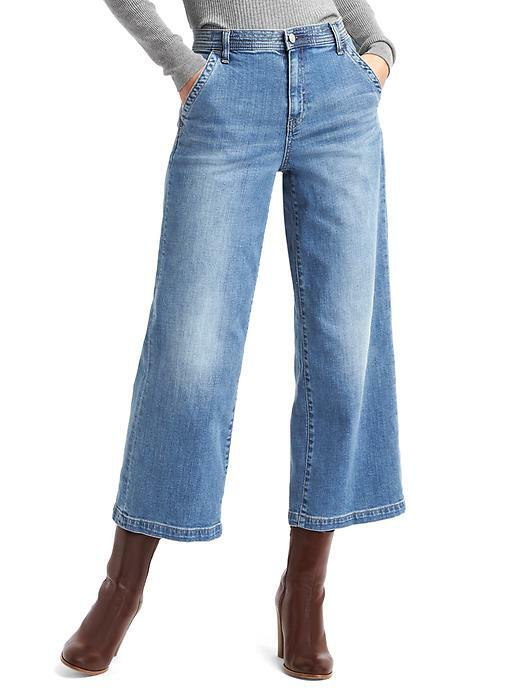 I think these Wide legs look great on you, would look, v French with some bright pumps and a Breton top. I don't think you look at all dumpy! 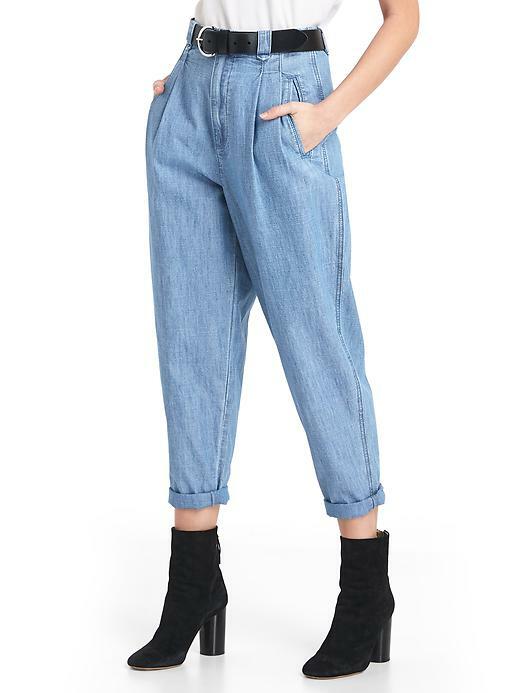 As denim is a bit of a stiffer fabric they might just take some time to wear in and get their shape? I'm cursing as I dithered too long on the Mango jumpsuit and it's sold out! Of course now I can't have it I'm desperate for it! Hoping there might be a few returns! 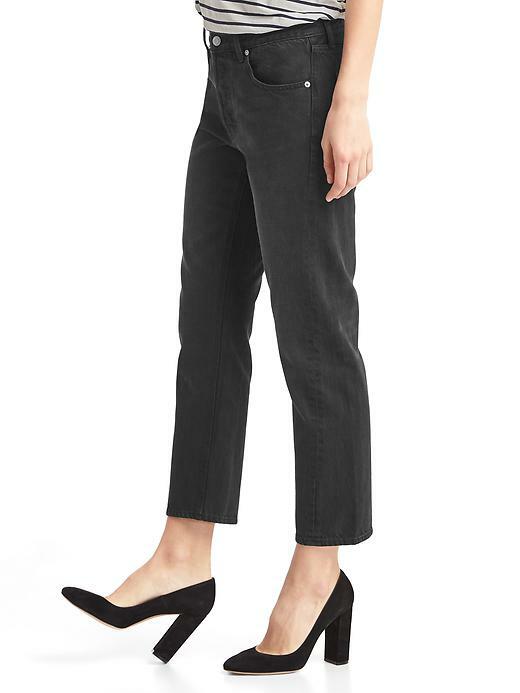 I love the black cropped one on you!My style is more the peg jeans! Love your coat BTW!